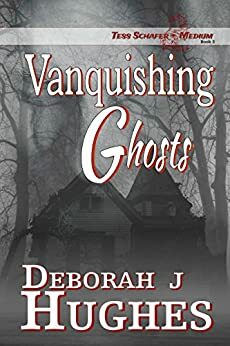 Ghosts Exist and I Love Writing About Them! I write what interests me. Ghost interest me. Why I have a fascination for dead people, I don’t know…but I do. My first encounters with the paranormal scared the crap out of me. I lived in fear. Nightmares plagued my dreams. The best way to conquer fear is knowledge. It’s often the unknown that scares us. But I have to say, knowing something is “there” and not being able to see it…that’s pretty freaky too! I needed to understand hauntings and so I set out to learn what I could about this mysterious phenomena. There are as many people who don’t believe in ghosts as there are people who do. I say this…once you’ve encountered one, you believe. No, you don’t just BELIEVE… you KNOW. For seven years I lived in a haunted house. I was pretty scared of the spirits who shared my home although they never hurt us or did anything harmful. They took things, they played with the lights and other electrical equipment, they opened doors, they moved things, shook our bed, teased our dog, but they didn’t hurt us. Given that, I’m not sure why I was so terrified of them. Times have changed. Now I go looking for them. Yeah, I’ve done a complete “about face” on the whole thing. I joined a Spiritualist church a few years ago. For those that don’t know how Spiritualist services work, the first part is always a healing session, the second part of the service is the inspirational message of the day and the third part is messages from “the other side” as channeled by the visiting medium. On my first visit to this church, my uncle came through via the medium conducting the messages that week (this very gifted medium also happened to be the church’s pastor and he’s since channeled several other family members from beyond!). My uncle was described to me so specifically that the medium was either the best psychic ever or he was communicating with my uncle. It was my uncle. I KNOW it. The following week, my grandmother came through. Same scenario. The visiting medium was too specific about things concerning my grandmother to be “lucky”. Nana was there. I KNOW it. I started experimenting with spirit communication many years ago. First with a Ouija board, then automatic writing and finally on to channeling. At first I did wonder if these communications were all coming from my imagination but then things came through that I couldn’t have possibly known. That got my attention. Suddenly I’m thinking this was the real deal and not just an interesting exercise. It’s amazing what can come through from “beyond” when you put your ego aside and let go of your inhibitions. Yeah, I know, its all hard to believe but that doesn’t mean it’s unbelievable. I’ve been writing stories since I was old enough to put words together so it is only natural that I write stories that interest me. Otherwise, I’m not going to write them. Ghost stories interest me. Not gory horror but honest to goodness ghosts needing help in some way or another. Most ghost do, you know…need help. It makes for great story telling! I wrote Be Still, My Love because I started doing the “what if” game. What if a medium suffered a horrible tragedy? Would she be like “Oh darn, my loved one is in heaven now, guess I’ll have to communicate spiritually” or would she grieve? Would she get mad and if she did would that anger interfere with her ability to talk to the dead? How would she deal with it all? Would she ever love again? Voila, a story is born. Since I live in Maine, I decided to place the story where I knew best. Besides, the rocky coast of Maine offers great backdrop to a spooky story! I read an article a few years ago about a medium who liked to travel to inns and do readings and I thought, what if I had a medium go on vacation to a haunted resort? The story just grew from there. I didn’t plan it out, I just started writing and a story evolved. 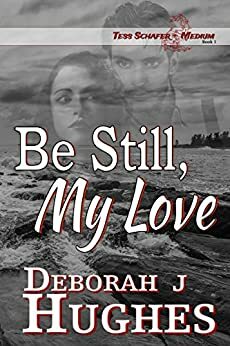 The title came from a moment in the book where the medium tells her dead husband to “be still” and fret over her no more. He, in turn, tells her the same thing. I truly wanted the hurt and anger my characters suffered to “be still” and bother them no longer. In the end, I think I achieved that. For the most part. As I was nearing the end of Be Still, I found that my character had more to give. I didn’t want her story to end. I was curious to see what she’d do next and so a sequel began to form. I grew up in Bucksport, Maine and we have a local legend there that our town’s founder Jonathan Buck was cursed by a witch and the proof of it showed up on his gravestone, see A Supernatural Mystery if you are curious about this interesting legend! I thought to myself “I should have my character go to Bucksport and figure out that curse!” And she did! 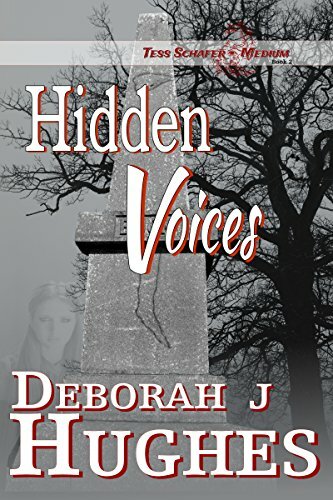 You can find that story in “Hidden Voices” which will be available next month. 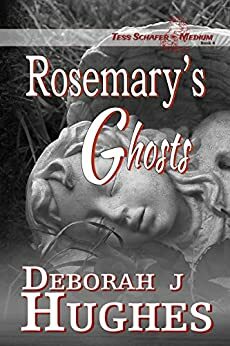 I can’t wait to find out what she comes up with next but I’m pretty sure it has something to do with that ghost she met at the tomb! Bucksport, it seems, is teeming with ghosts. It’s a great place for a medium! They say that life imitates art imitating life. What a circle huh? If you are going to be an author, you should write books that you love to read. That’s what I’m doing. I’m writing books I love to read. After all, I’m the first reader of my own story. If I don’t like it, it’s not going to get done and nor should it! Luckily, I love Be Still, My Love and I love the sequel just as much, if not more. Probably because I’m becoming pretty fond of my character and her gift. I hope she stays with me for awhile and tells me more great stories! So that’s my story. And I’m sticking to it! Blessings and Peace Out! Okay, you sold me. I went and bought Be Still, My Love. I can’t wait to read it. I totally understand what you mean when you say I KNOW. That’s the only way I’ve ever been able to explain things to other people…it’s not a feeling, an intuition, or a premonition, it’s just that you KNOW. You know it in your bones. Nice post, Deborah. Thank you! I do hope you like Be Still! There’s a lot of my beliefs…what I’ve come to learn over the years…embroidered into that story. We write what is important to us, what interests us and what we feel moved to write. Right? (smile) I wonder sometimes why I believe certain things though I’ve never been given any proof as to their existence or viability. I think it’s born within us…certain knowledge comes with us through birth. Maybe we learned it in another life. Who knows? It’s all quite thought-provoking. 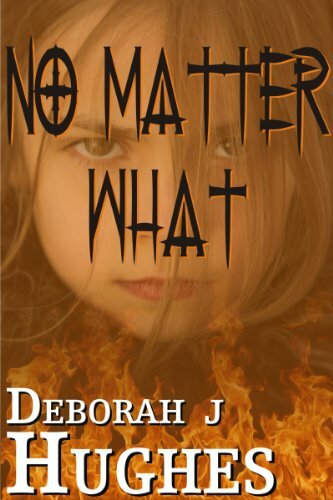 When “No Matter What” comes out, I’m hoping it will get people thinking and asking questions. The entire premise of the book deals with reincarnation and bringing issues and lessons from another life into a current one. I loved developing that story! Thanks so much for stopping by! Whenever possible, I get away to Cassadaga and visit with my friends who are psychics, mediums, and spiritualists there. It is a wonderful place. It has a calming effect on you when you drive into the little town, which has changed little during the past 150 years. Ghosts, by whatever name, have always fascinated me. We’ve lived in a house with one. 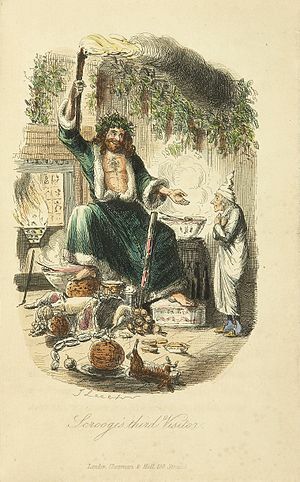 We knew he or she was there, although we never glimpsed anything resembling a spirit. It was not disconcerting. If I liked the house too much to leave, I figured there was no reason for a former occupant to ever leave either. I haven’t been to Cassadaga but I would like to! I’ve been to Lily Dale in New York…that’s a great community…a Spiritualist community. It’s very peaceful there. We have a ghost that likes to make himself known here every now and then. He seems to be especially active when my daughter is home. I’m not scared of them now…I’m quite fascinated. Unfortunately, I do think one of the spirits that lived in the haunted house with us (when I was a child) was not a good spirit. That experience frightened me when I was young. I think if I were in that situation now I’d be having all sorts of fun with it! Thanks for stopping by and chatting with me!! Write the book you want to read is the best advice. Best of luck with your books. Totally agree with you on that one, Emma! Thanks for stopping by!! Best of luck to you as well. What a lovely post – my father is always recommending I try writing about something other than the paranormal and supernatural, but as I always tell him, the same as you have said above, I write about what I know. If I start trying to write something in the line of James Bond or Sharpe, it’s just not going to happen – it will sound false and flat because it doesn’t interest me and I won’t do it justice. But a ghost story, on the other hand… well, now, that will just write itself as far as I’m concerned! You have an interesting blog yourself! I agree that we need to write what interests us and what we know a little about. When it comes to the paranormal, you really don’t have to KNOW anything, you just have to have a good imagination because there are no set parameters to work within. The field is wide open to interpretation. Thanks for stopping by my blog and taking the time to chat with me!! I love what if games….it is always the beginning of a new book for me. « What’s Written in Your Palms? Only everything!